Sorry, I had to go with the pun; please forgive me. Yesterday we got our first egg! 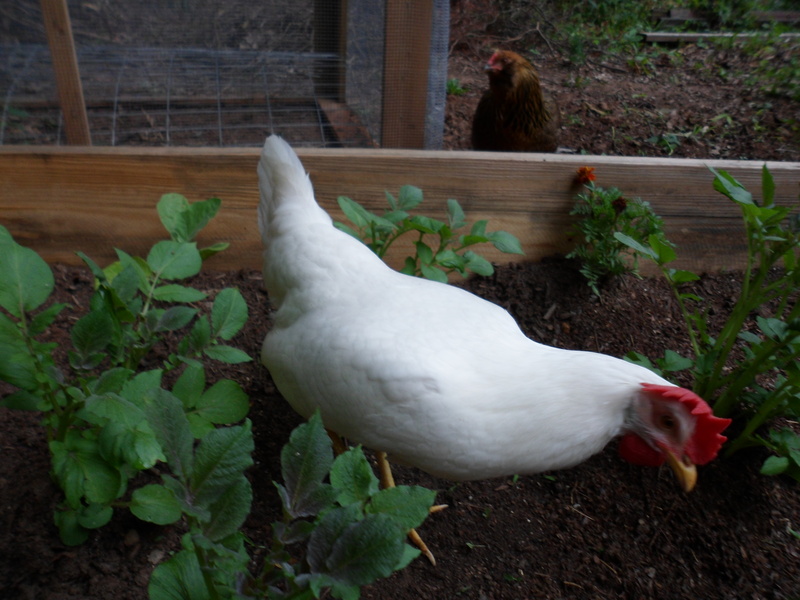 We knew it was going to happen soon because Snow, the leghorn, was starting to show signs of being ready. She does not like to be petted, but for the last week or so, every time we got near her she would get into the hunched-down chicken mating position instead of running away. Yesterday we heard lots of noise from the hen house, so we ran out to check on them. 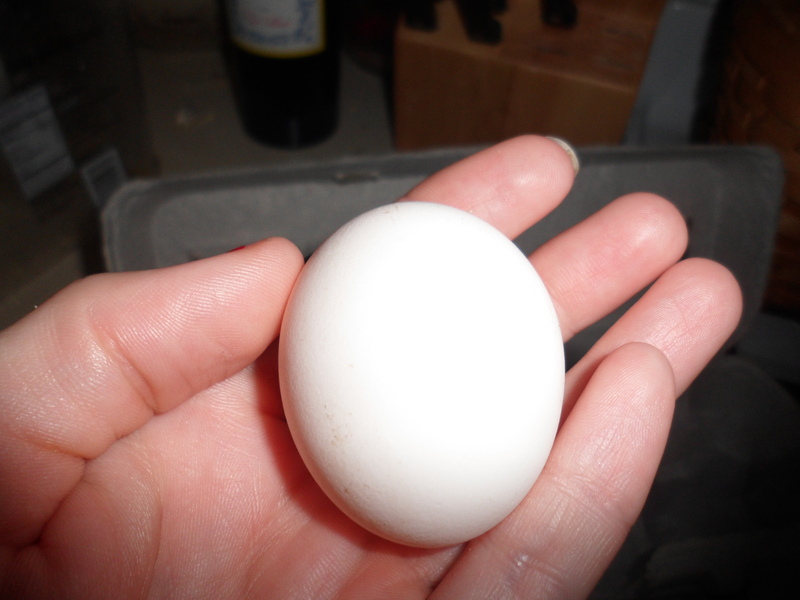 When we got to the hen house we found a tiny white egg. Snow is the only one of our chickens who will lay white eggs. Leghorns are prolific layers; at their prime they can lay about an egg a day. And our Snow is living up to the hype; she laid another egg today about 30% bigger than yesterday. We got her on February 3 at about 3 days old, so she is just over 4 months old now. It is hard to believe that the little chick that was just the size of an egg then is laying her own eggs now.